Dashlane's all-new web extension installs directly in your Edge browser and delivers a smooth, seamless password management experience. Our extension for Edge requires at least version 40 of Edge (if needed, you should be able to download the latest Windows update – and thus the latest Edge update – via this link) and at least version 5 of Dashlane. For your Dashlane extension in Edge to sync with the Dashlane app on your desktop device, you will need a Dashlane account with Synchronisation enabled – an exclusive Dashlane Premium and Dashlane Business feature. For this reason, our extension for Edge is optimized for Premium and Business users. This is to ensure that your data remains intact and your Dashlane experience a pleasant one. Thank you for your understanding, and stay tuned! Note: if you do not see a Manage Edge Extension option, it would, unfortunately, mean the extension is not yet available to you. From there on, a window should automatically open in your Edge browser, prompting you to Get the extension. Click on the Get button and wait for the download to be complete – then, click on Launch. Last but not least, click on Turn it on in order for the extension to be enabled. Once the Dashlane extension is installed and enabled in Edge, you should see a greyed out version of the Dashlane shield icon in your Edge toolbar. It means the extension is installed and enabled, but that you are not yet signed in to your Dashlane account via the extension. Even if you are signed in to your account via our desktop application, you must also sign in to your Dashlane account via the Dashlane extension in Edge in order to browse the Web with Dashlane. To remedy that, please click on the shield icon in your Edge toolbar. Our web-app should open in your browser for you to sign in to your account. 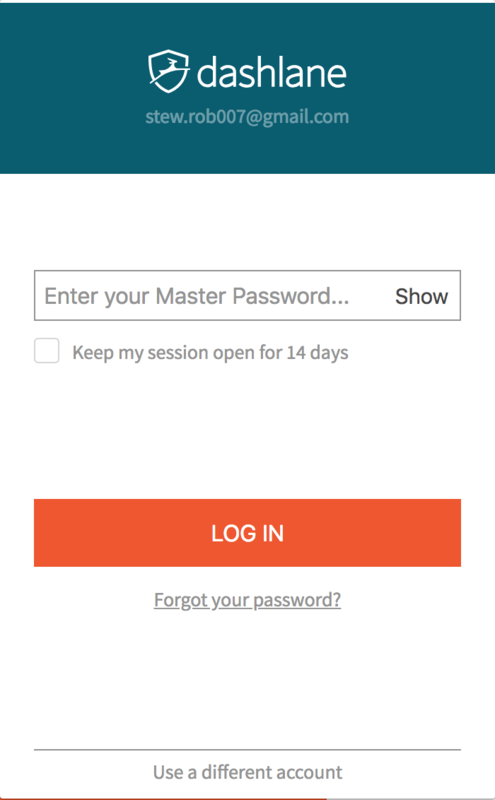 As you most likely already have a Dashlane account, click on Log in in the top right corner of the window, and sign in to your account. The first time that you do that, you will have to authorize this browser with a security code sent to your email address, or with any alternative second factor, you may have chosen to protect your Dashlane account. Congratulations, you are ready to browse the web with Dashlane! Please click here for more information on how to use Dashlane to browse the web. To check that your extension is properly working, please visit one of your favourite website – for instance, live.com (for Outlook) or google.com (for Gmail). 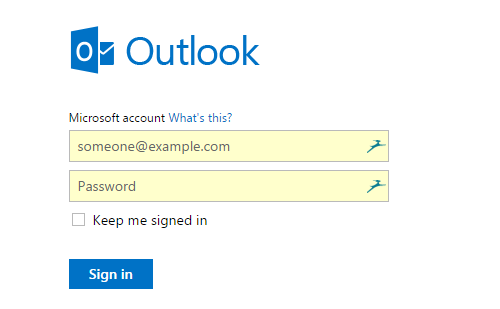 You should see two impalas in the login form, as shown in the screenshot above. If you do not see anything, please press F5 in order to refresh the page. These impalas will be blue if you already have an Outlook or Gmail account, or grey if you do not have one. For more about impala colours, please refer to this guide. You should find a Dashlane entry. Please click on it. If you find no Dashlane entry, it would mean the extension is not installed. Please refer to the first section of this article for more information. The Dashlane extension is installed in your Edge browser but it is completely greyed out and you can't get Dashlane to autofill any of your data on the web? Your first step here should be to ensure that you signed in to your Dashlane account via the extension. In order to verify that, please follow the directions referenced above. Click here to reach them directly. If the problem persists, do not hesitate to contact our Support team so that we can get to the bottom of this together! If you cannot install the extension in Edge at all, it may be that you do not match the minimum requirements for Dashlane to work in this browser (Dashlane requires Edge 40 at least). Please refer to this article in that case.